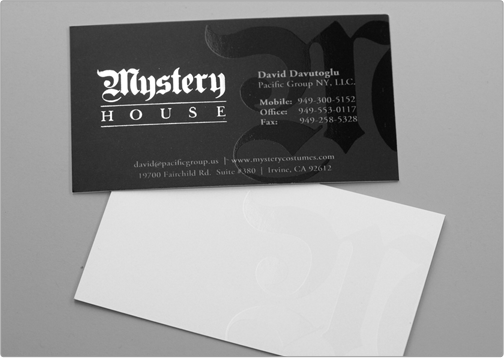 The Mystery House business card design implements a reverse black and white color palette with subtle specialty options. 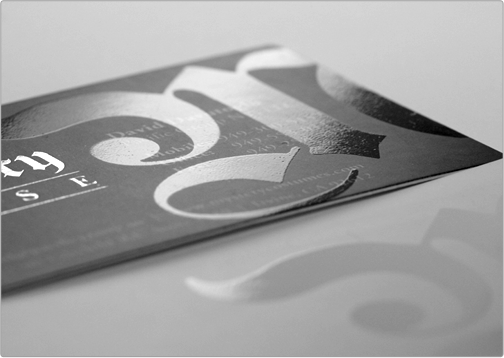 The 'M' from the logo is spot glossed for further branding with a touch of class. 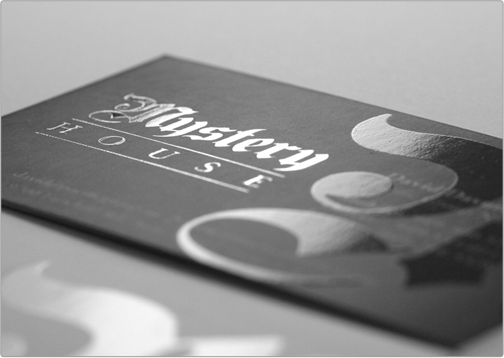 The silver foil over the logo is to direct the main focus to the company name and yet further highlight the Mystery House luxury brand.